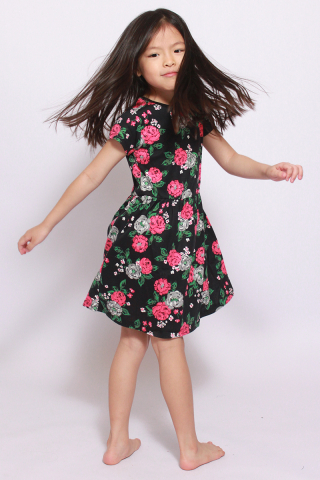 An adorable relaxed babydoll dress that's so cute, your little one will wanna wear it over and over again. Wear it over leggings or slacks, or over a T-shirt for cold windy days, or wear it on its own for the hot summer days. Made with smocked back for easy fit. Pit to Pit 11"-14" 12"-15" 13"-16" 14"-17"
Length 23" 24" 26" 27"